From the book "Michigan Civil War Monuments" by Geo. May: The boulder with bronze tablet in Petoskey's Arlington park reads: 1861-1865 G.A.R. 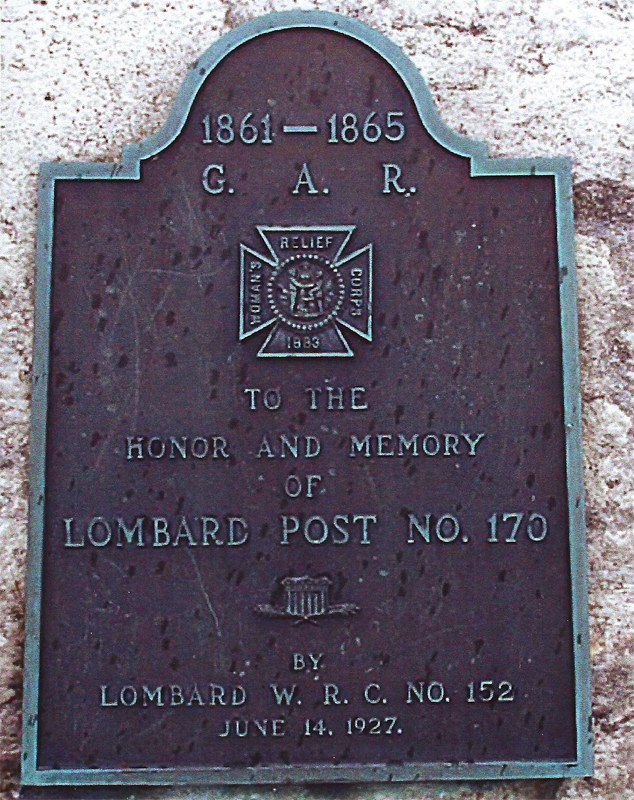 to the honor and memory of Lombard Post No. 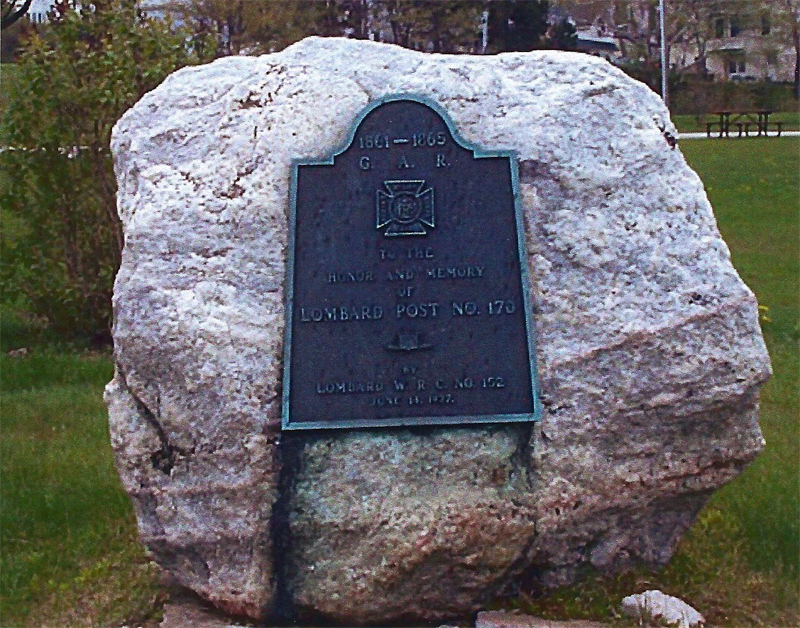 170, by Lombard W.R.C. No. 152, June 14, 1927.